Munnich Motorsport driver Huff was fastest in a stop-start second part of qualifying and carried that form into the final shootout segment, beating Honda's Norbert Michelisz to the fastest time by 0.306 seconds. 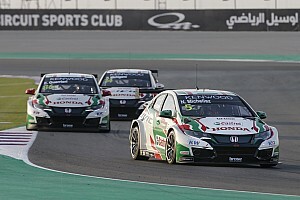 Michelisz had a slender 0.073s advantage through the opening sector in his Honda but Huff then recorded fastest times in sectors two and three to record a 2m23.995s lap of the 3.8-mile circuit - eclipsing Jose Maria Lopez's previous record set in 2014 by three tenths of a second. 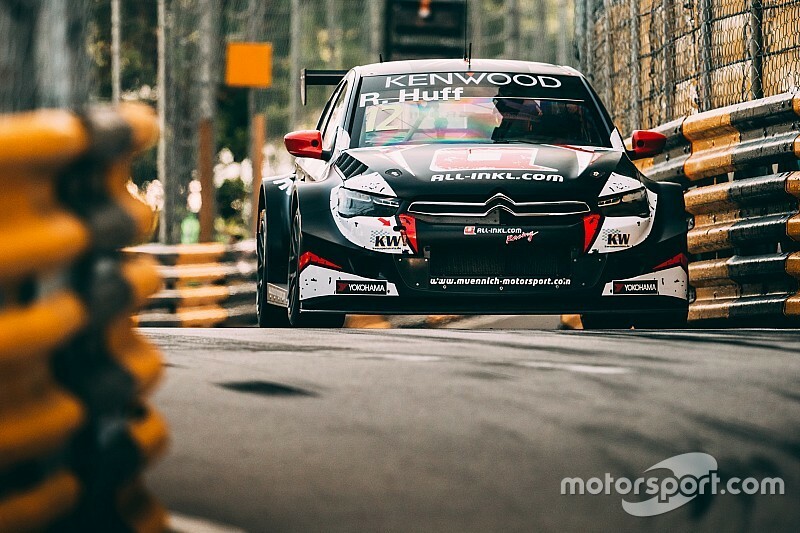 Tom Chilton dragged his Sebastien Loeb Racing Citroen to an impressive third with his shootout effort, beating championship leader Thed Bjork (Volvo) and Michelisz's factory Honda teammate Esteban Guerrieri to the spot. Behind the shootout contenders, Kevin Gleason advanced to Q2 at the expense of RC Motorsport teammate Yann Ehrlacher and kept his nose clean to claim sixth - comfortably his best WTCC qualifying performance. Gleason was 2.6s away from making the shootout, but outqualified the third factory Honda of Ryo Michigami and Tom Coronel's Chevrolet - who were the final drivers to record times in Q2. 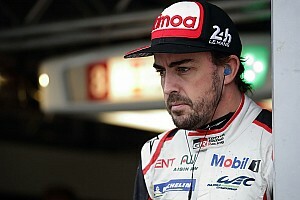 Qualifying ran for significantly longer than timetabled, with three drivers crashing in each of the first two parts of qualifying. Volvo driver Nestor Girolami and Mehdi Bennani were notable casualties in the second phase of qualifying when they both went off at Police Bend. Girolami, who will start Saturday's opening race from the back of the grid after Volvo elected to change his engine, could not stop his car in time to make the corner and went into the barrier, while Bennani was left with little alternative but to hit the same spot as the next car through at racing speed. Bennani, who had been second to Michelisz in Friday's second practice session, will start the reversed grid opening race from pole as he was classified 10th ahead of Girolami, even though neither set a time. The second major stoppage in the second session was caused by Bennani's SLR teammate John Filippi, whose Citroen shed its left-rear wheel and suspension arm after a heavy impact with the wall on the exit of the final corner. Filippi will start Sunday's main race from ninth despite also failing to register a Q2 time. Nicky Catsburg made the cut for Q2, but hit the wall on the exit of the fast right-handed Fishermen's Bend on his second Q1 run and stopped before the pitlane entry, causing the second of three red flags in the first session, and took no further part in qualifying. The first had been caused by Ma Qing Hua crashing his SLR Citroen on the exit of the Maternity Bend right hander on his first flying lap. Debutant Po Wah Wong was another driver to be caught out, hitting the wall through the Solitude Esses before bringing his Chevrolet to a stop at Paiol.